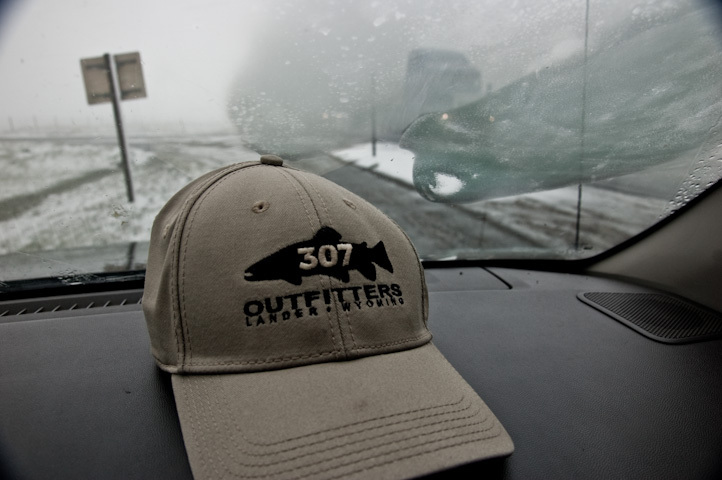 307 outfitters from 307 Outfitters on Vimeo. 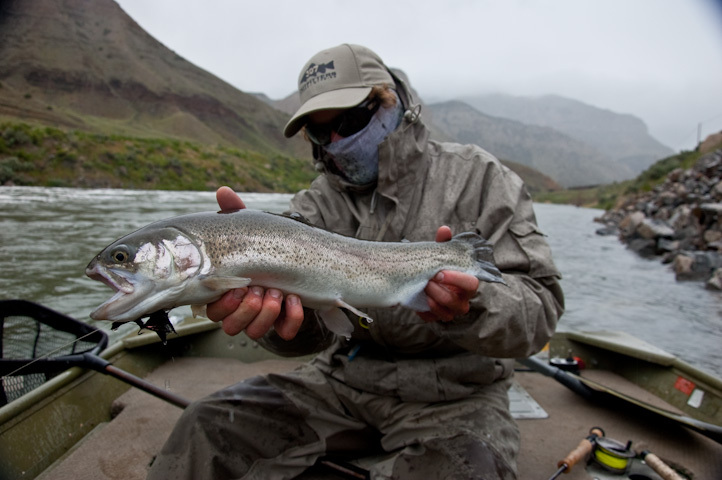 centerpin fishing for inland trout at its finest….using kingpin centerpin reels! 5,920 cfs and dropping…. finally. 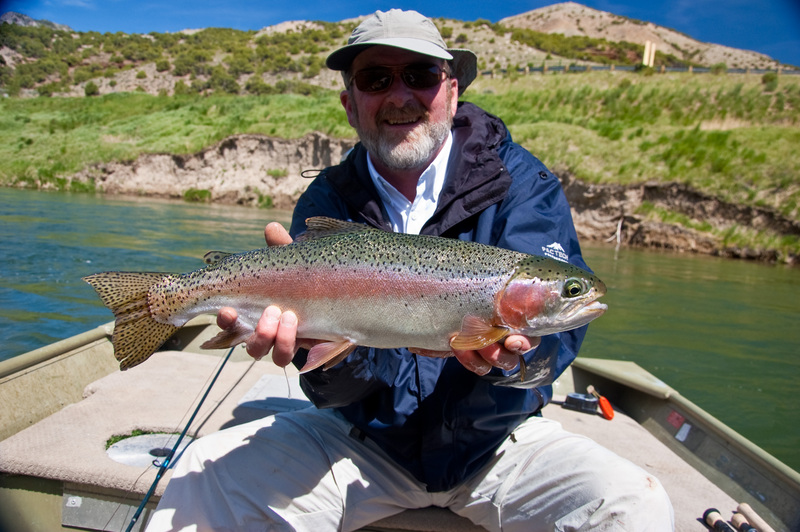 river will clear up and fish are extremely hungry from these big flows and colored water. new leg locks on the jet-boat will be installed by the end of the week! 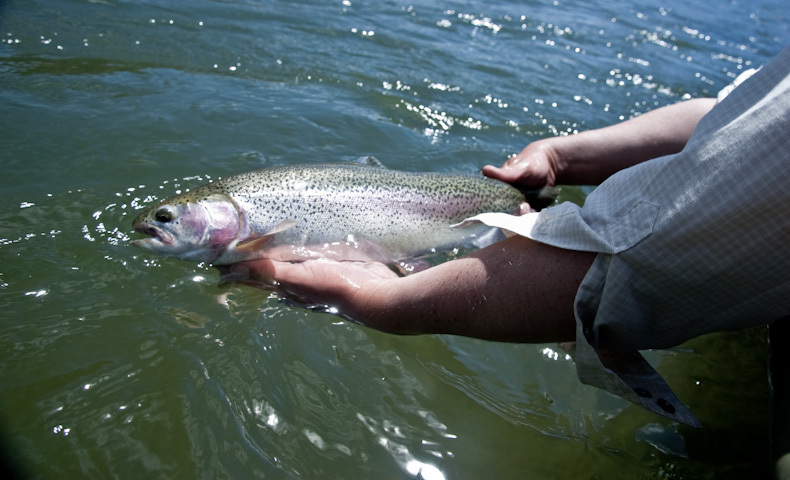 we still have clear fishable water on some of our local tail-waters. 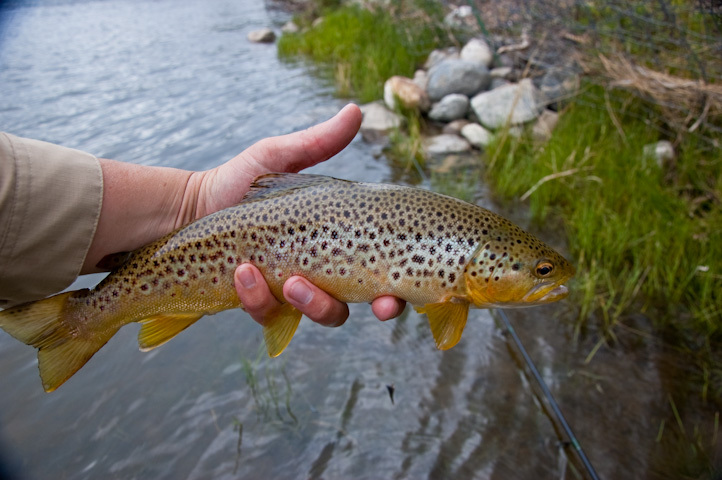 I was able to get out today and fish for myself and check out some different water around central wyoming. 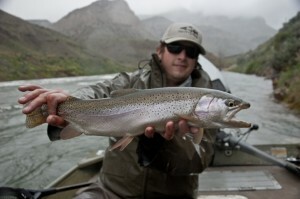 streamer fishing was outstanding when the cloud cover was present. a thunderstorm rolled in and the i caught three of the biggest fish during that storm. the biggest was 24 plus and also caused me to dunk my Nikon DSLR into the river. so after 3 plus years my camera finally took its last photo of the first brown of the day. the fish was a tank. it is going to be a great summer with all of the water we have this year. 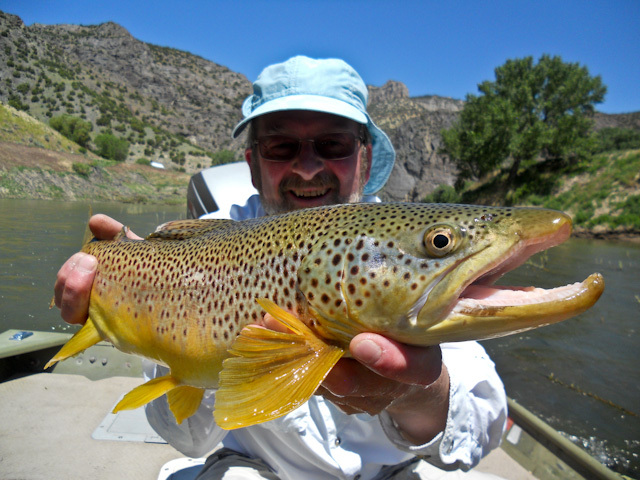 hopper season will be here soon and i had one big brown come up and take a Wilcox’s VW Hopper. I blew the hook-set not expecting to see a fish eat such a big dry this early. life is good. be sure to get out and enjoy this weather. call us to book your hopper trip. regardless of the runoff. fishing slowed this past weekend for us due to the water, but things are looking a lot better this week. been wicked jealous of the boys up on the Missouri. river is flowing at 16,000 cfs and crystal clear, now that is fun stuff. 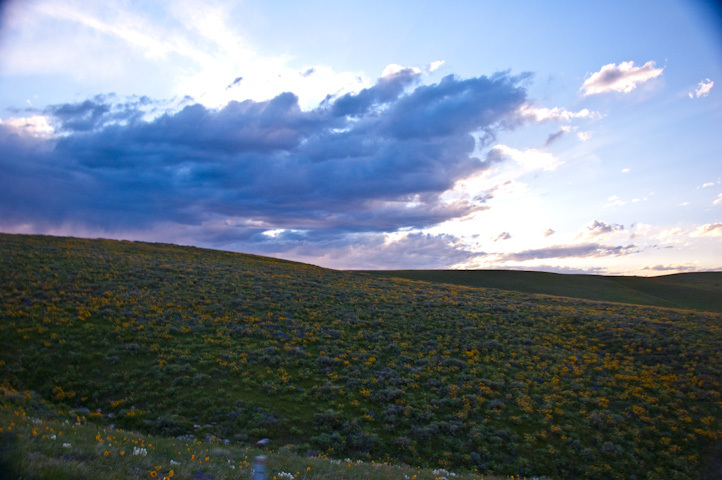 we are beginning to see tourists arive in Lander, Wyoming. it is always good to see the hotels full and people enjoying this great town. we still have lots openings in july and august….shoot us an email! fished with my buddy paul b. today from montana and managed to not zero. the river is toast with all the water coming over the spillway. flows are ripping at close to 7,000 cfs. we caught 3 fish today all right in the morning before the river got too green. fished until 2:00 without another bite. different river tomorrow, more rain….. stay tuned for updates. 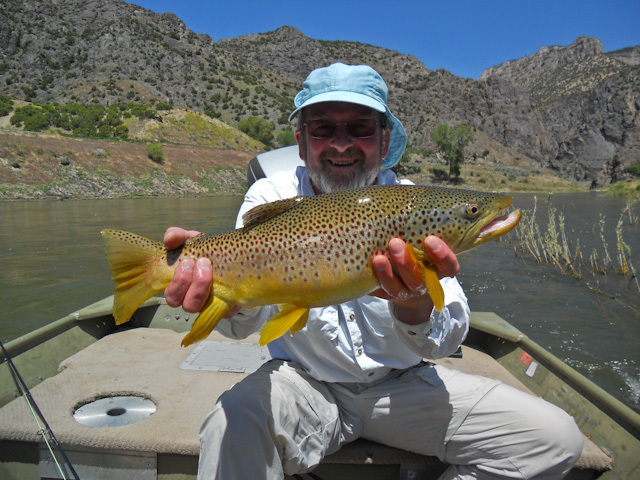 Had the opportunity to get out with Steve Beazley, owner of four rivers inc, another guide service based out of Riverton, Wyo on Sunday. 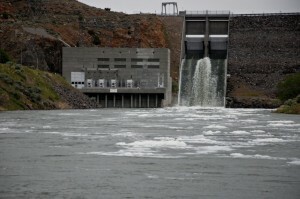 Flows were ramped up to 5200 cfs and the wind was brutal in the morning. out of ignorance or stupidity we fished thru the winds and managed a few nice fish on streamers. once the wind died down in the afternoon the fishing heated up. I would say it was one of my best day of sreamer fishing ever. we boated ten fish over 20 inches all on big streamers. 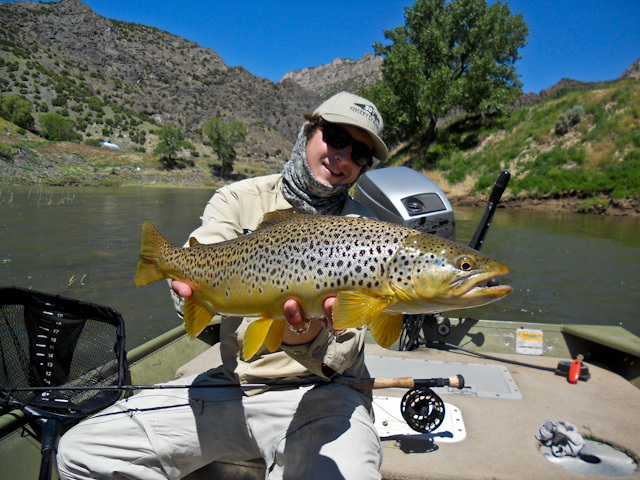 I even got to fish a little bit and was able to land one nice brown and another nice bow. I lost the biggest fish I have ever seen on that stretch on a big streamer. I had an awful hookset due to having to clear all my line that was somehow wrapped around the reel, after clearing the line the fish was still on for a while. she rolled on the surface once near the boat and she easily pushed 28 inches. 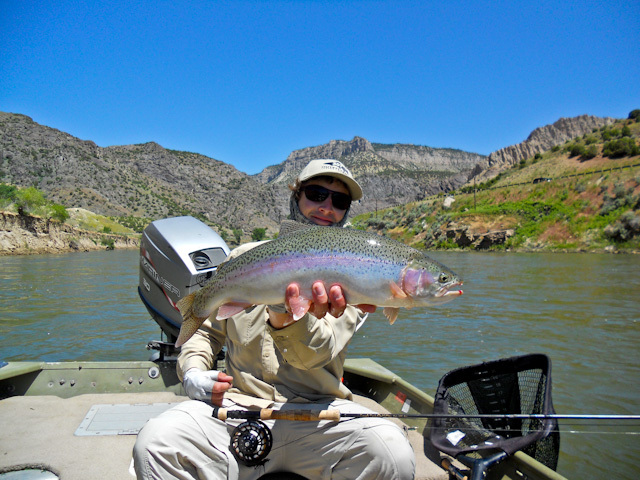 fishing was so good we left early at 3:30 and decided to leave on a high note of steve hooking and landing a nice wild wind river bow. fishing is hot right now, I didnt even break out a nymph rod. a 300 grain striper line and an 8wt were the means of delievering the streamers down deep. I have this week open without any bookings and the fishing is on fire. Flows will remain up for a few more weeks with the way runoff is going. 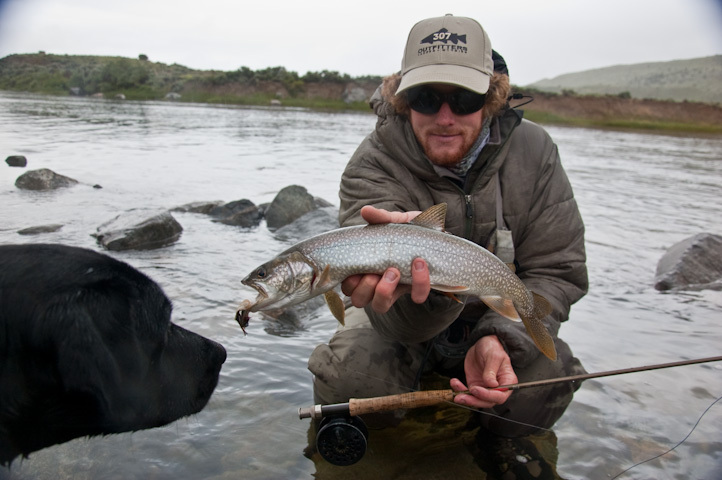 If anyone wants a discounted streamer fishing trip for trophy trout CALL 307.438.0740 NOW! You are currently browsing the 307 Outfitters blog archives for June, 2010.